Pinery Country Club Golf Course Maintenance: Contour? 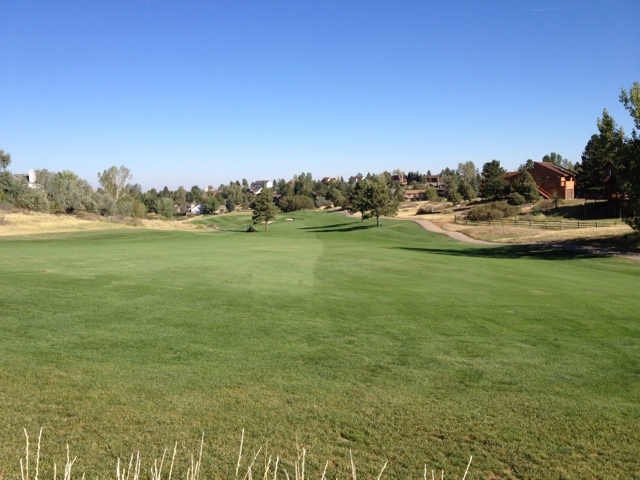 Why do we contour fairways in the late summer into fall? The main reason is we are saving man hours! Typicality we mow our fairways 3-4 times a week in the peak summer months with a checker board pattern. This type of mowing is very aesthetically pleasing to the eye but it takes 45 to 60 man hours per week to mow this way. In the late summer and into fall we have less crew and contour mowing the fairways only takes 30-40 man hours per week. Since the weather in late summer and fall is cooling down this leaves time to do other maintenance/cultural practices and special projects on the golf course. If you are wondering, this type of contour mowing does not change the play-ability of the courses fairways it just have a little different look.